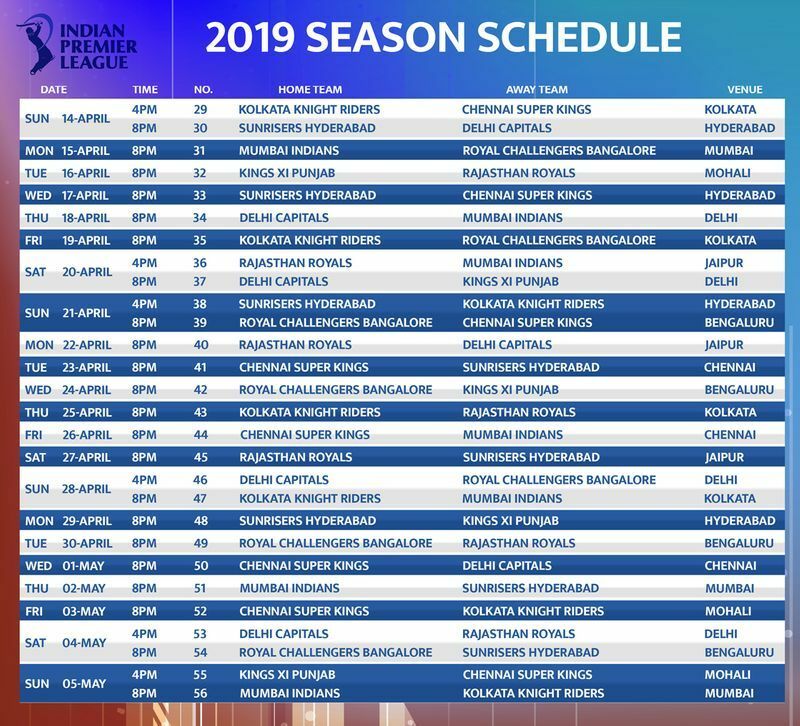 Mumbai: The BCCI has announced the full schedule for the group stage of the Indian Premier League (IPL) 2019. 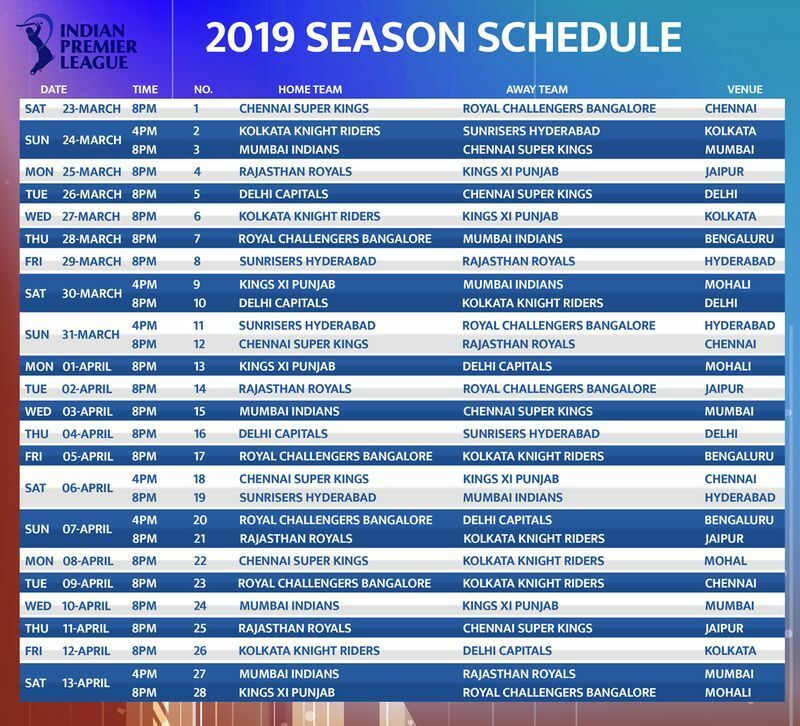 The league starts on March 23 with defending champions Chennai Super Kings (CSK) hosting Royal Challengers Bangalore (RCB) at Chepauk. Despite the general election, the BCCI has managed to stick to the home and away format. On Tuesday, the Indian cricket board announced the schedule from March 23 to May 5. 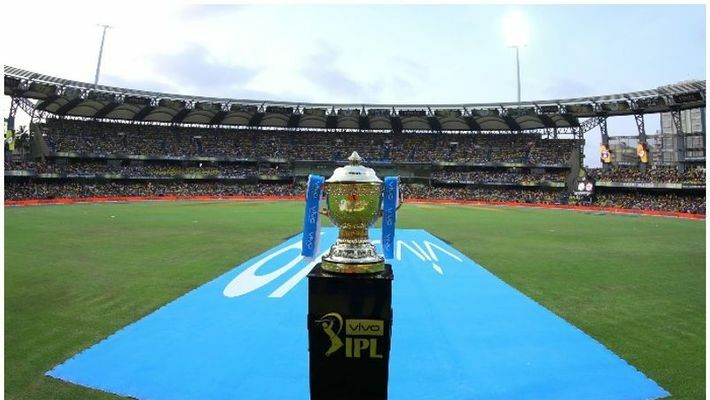 The play-offs and final dates will be announced later, a media advisory from IPL said. Kolkata Knight Riders (KKR) will get to play all their home matches in Kolkata. There were doubts as Bengal polls will be held in all seven phases of general election.